Drawing on the roots of old time and bluegrass, this impressive duo features two gifted young musicians who are already leading lights in the new generation of American roots music. We’re very excited to bring Tatiana and Allison to the UK later this year for their first European duo tour! 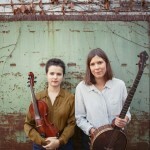 Talented banjoist Allison De Groot has made a name for herself as a member of powerful quartet The Goodbye Girls (alongside Molly Tuttle) and for her intricate clawhammer work in Molsky’s Mountain Drifters. Originally from Winnipeg, Canada, Allison gained a performance degree from the prestigious Berklee College of Music and has since toured all over the world, playing festivals from Celtic Connections to Rockygrass and Denmark’s Tønder Festival. Tatiana Hargreaves is a phenomenal old time and bluegrass fiddler. Based in North Carolina, Tatiana was a fiddle prodigy from a young age. She has toured with bluegrass and Americana luminaries including Gillian Welch, Dave Rawlings, and Bruce Molsky and contributed her bluegrass fiddling to Laurie Lewis’ Grammy nominated album The Hazel And Alice Sessions. She released her first solo album in 2009 and has gained acclaim for duo projects with award winning old time musician Jake Blount and with superstar bassist Ethan Jodciewicz. 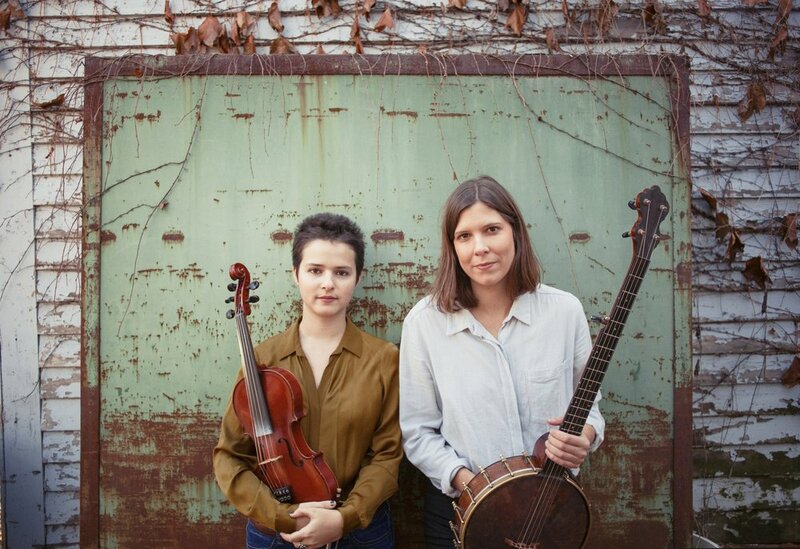 Together, Allison and Tatiana create a sound that is adventurous, masterful, and original, whilst still paying homage to the best of Appalachian traditions. Their recently released self-titled debut album not only showcases their hugely impressive musicianship, but also reflects on the expansive, diverse canon of American roots music. Alongside classic tunes, the duo performs lesser-known American fiddle and banjo songs from the likes of African-American duo Nathan Frazier & Frank Patterson, bluegrass pioneer Alice Gerrard, centenarian Arkansas fiddler Violet Hensley and more. In live performance, Allison and Tatiana create scintillating, foot-tapping music, taking the banjo and fiddle duet to another level!